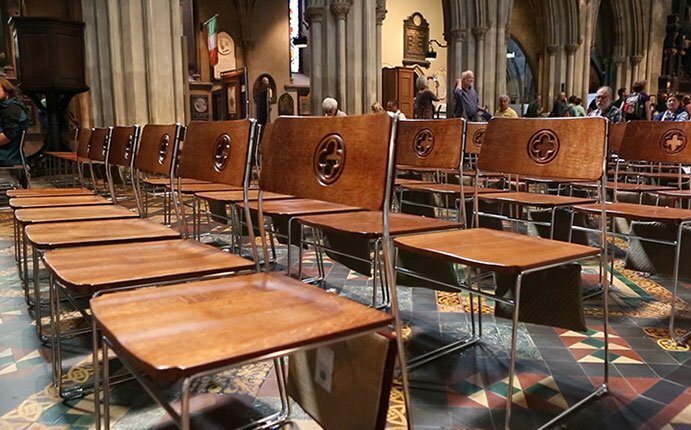 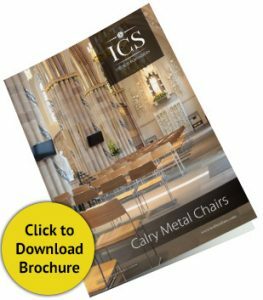 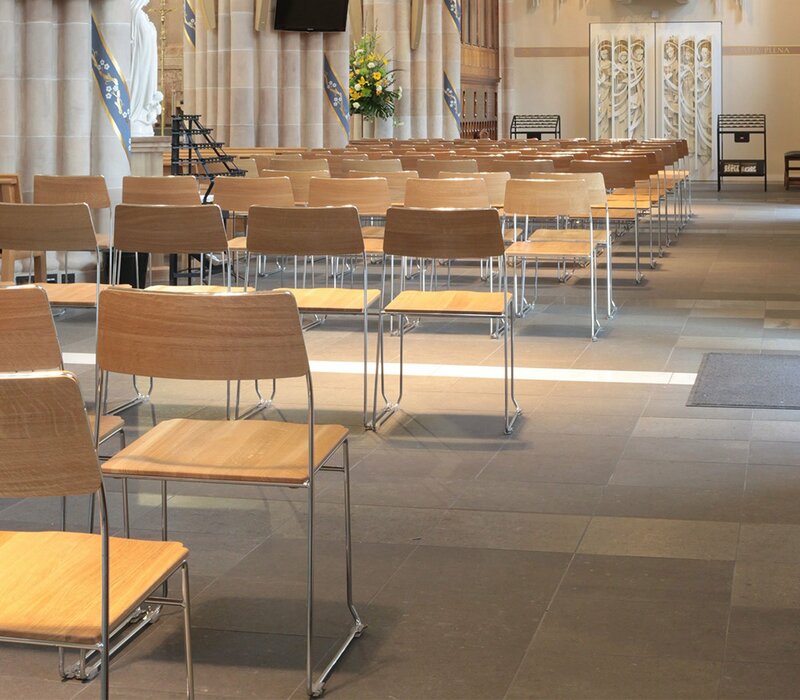 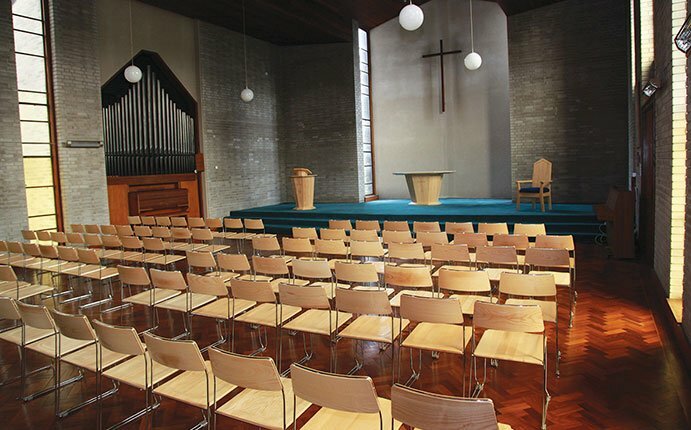 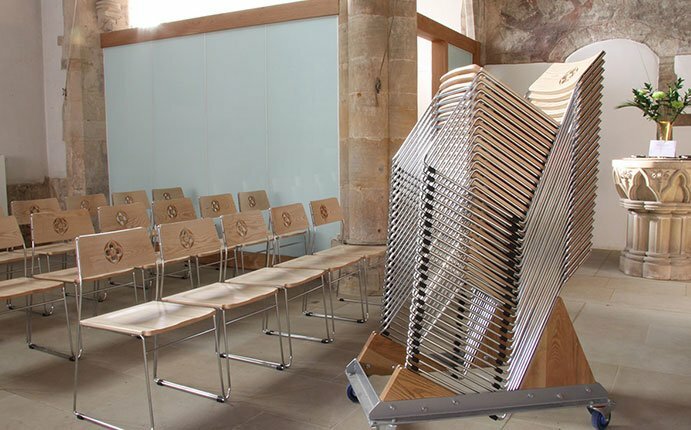 Our metal-frame church chairs are stackable and can be fully customised to suit your specific requirements. 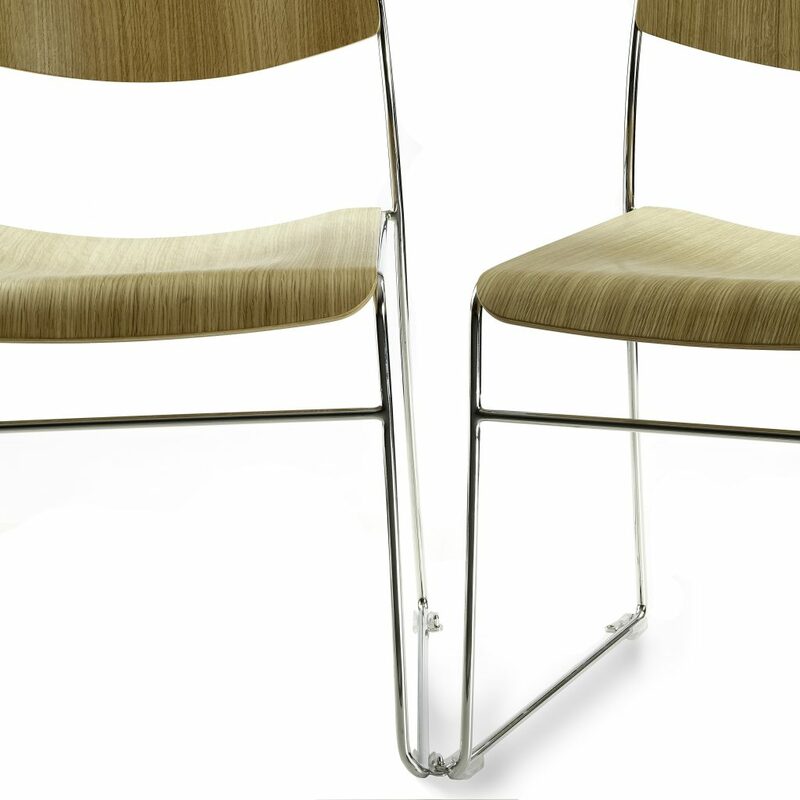 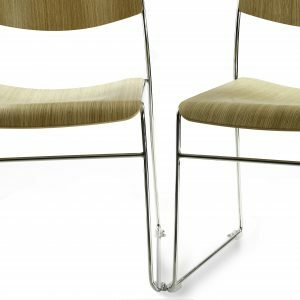 Metal frame chairs have solid timber seats that will last for generations. You can choose either a solid wooden seat or upholstered seat with a wooden back. 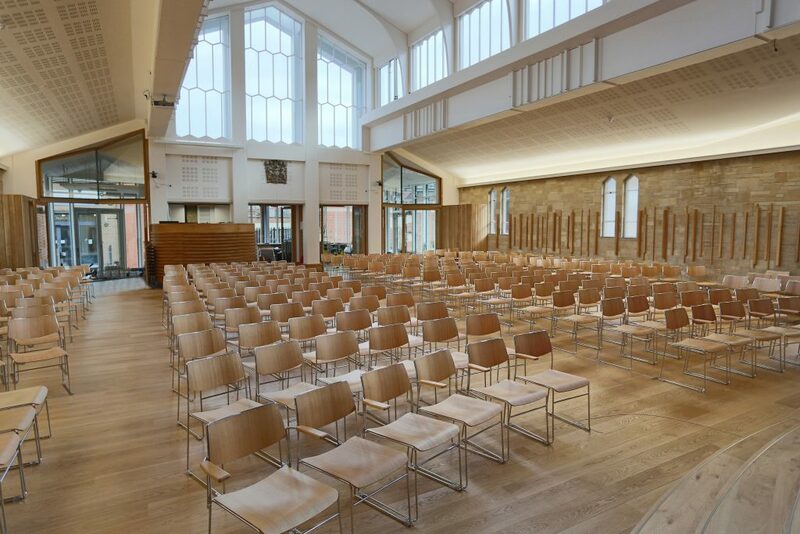 We use sustainably sourced timber, mainly European ash or oak, and the wood can be customised to perfectly match the colour of the existing furniture or we can incorporate carvings to reflect the unique architecture or details of the building.